Head up to Center of the Universe tonight Friday April 5th as they release their latest beer. 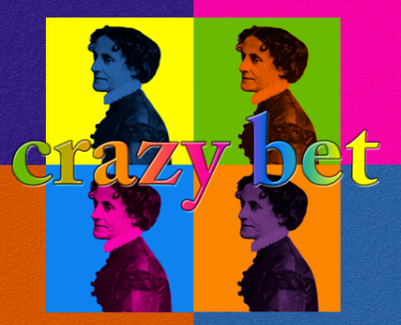 From the imagination of head brewer and armchair historian, Mike Killelea, COTU’s Crazy Bet Imperial Amber is named after Elizabeth Van Lew a prominent Richmond resident during the Civil War, who used her Church Hill mansion to hide escaped slaves and Union prisoners of war. Crazy Bet has a base of English mild ale malts with different caramel malts to adding sweetness and a deep ruby color. Hop additions in the boil include Columbus, Mount Hood, and Nugget in order to balance the bitterness and intense aromas. As a final measure, the beer is dry-hopped with Columbus and Nugget. COTU will tap the new beer starting at 4pm. Head over to the Facebook event for more information.